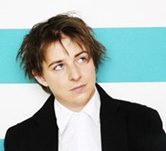 With “The Moon, the Stars and You” released 26. August 2011, Nils Landgren again shows himself from his sensitive and fragile side. The ballad album is a continuation of “Sentimental Journey“ – one of the most successful albums of his career. 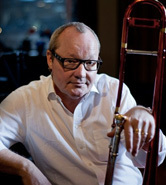 Together with pianist Michael Wollny, bassist Lars Danielsson and renowned guests such as Richard Galliano, Steve Gadd, Joe Sample, Joao Bosco, Cæcilie Norby, the Stockholm Philharmonic Orchestra and the NDR Big Band, Nils Landgren interprets jazz standards, folk and pop and, of course, several of his own compositions. These are all carefully tuned, full of longing, occasionally funky and effervescent, yet always inspirational and swinging. Viktoria’s latest studio album “Letters to Herbie”, released in September 2011, is dedicated to one of Viktoria Tolstoy’s greatest inspirations: the music of American pianist and composer Herbie Hancock. Its soulful grooving songs, particularly from the 80s, gives Viktoria Tolstoy, together with producer Nils Landgren, a totally new and unmistakable sound between jazz, soul and pop. Co-produced by Nils Landgren. 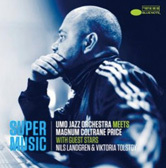 Sampler from the new Blue Note album Supermusic. With her third album “The Gospel Truth”, released in September 2011, Ida Sand fulfils a long harboured dream: to unite her three great musical influences – jazz, gospel and soul – with her own personal signature. The album was produced by Nils Landgren who is also involved as a musical guest as is guitarist Raul Midón, singer Rigmor Gustafsson, saxophonist Magnus Lindgren and guitarist and Ida Sand’s husband Ola Gustafsson. 2010 was an intense year for Andy P. Besides working with his own project, he also tour the world with the Nils Landgren Funk Unit, playing guitar and singing. 2011 was just as busy too, collaborating with Skip records and O-Tone Music for the international release of Music & Movement his last album in which the house gods Marvin Gaye and Prince are always present, but inspiration has also come from Parliament & Funkadelic, the Meters & Ry Cooder. Jessica Pilnäs is one of the best new singers to emerge on the scene of jazz today and with her second album for the label ACT, she has chosen to take on an ikon of the genre. The new album “Norma Deloris Egstrom- A Tribute To Peggy Lee” is a warm and swinging story where every nuance is taken care of and the musicianship is impeccable. With Jessica , Vocals; Karl Olandersson, trumpet; Fredrik Jonsson,Bass & Mattias Ståhl on Vibraphone, the producer Johan Norberg has created a timeless masterpice. As a part of the long time duo ”Chapter two” Nils Landgren and Johan Noberg have, during the past 20 years, made more than 300 concerts and sold more than 20.000 copies of their two albums. Johan has also participated in various projects on electric guitar: Tim Hagans Quintet, Nils Landgren’s Follow Your Heart and 5000 Miles. 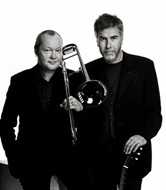 The Swedish Radio Jazzgroup, Nils Landgren and Bengt-Arne Wallin’s Miles From Duke 1987 and at the ”Jazz Baltica”-Festival in 1997 as a member of the Maria Schneider big band. As a producer/sound-engineer he worked for Nils Landgren’s Ballads, Viktoria Tolstoy Shining On You and as a composer on the Rigmor Gustafsson album I Will Wait For You. Wollny’s most recent album with his trio [em] is called “Wasted & Wanted“. The recording unites for the first time all aspects of his complex personality as a musician – from intricate and complex arrangements and the pianist expression of “Hexentanz” to the mystic-magical mood of “Wunderkammer” and rock influences. Powerful, modern, emotional, intelligent, virtuoso, energetic, open in all directions yet, at the same time, fully independent – Wollny offers a convincing answer to the question regarding the future of German jazz.